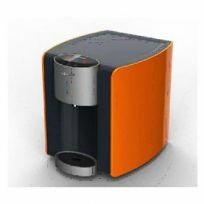 AquaLock is a relatively small and elegant countertop water purifier & dispenser for home and your office, the gym, hotelrooms, etc., using tap-water to serve you the purest cold and hot water 24/7 at the lowest cost in the market. The filtered and desinfected water passes all tests of renown labs worldwide. 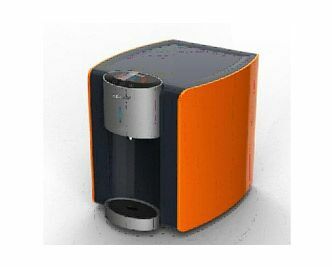 The machine comes in nine different colours and is made from high quality materials. Filter changing is easy and cheap. Desinfection is assured by UV light or Ozon.AquaLock fights against the enormous plastic bottle polution, has a much smaller ecological footprint and is many times cheaper than plastic bottled water bought at, and carried home from the supermarket.